It is finally here, One World One Heart, it’s 5th and final year. This post will remain at the top til the end of the OWOH event. Any recent posts can be found below this one.. I have added a 3rd prize, please scroll to the bottom to see. If you click on the above image you will be directed to the blog for all the details and many blogs that participate in this worldly event to bring artisans together without borders. The date for this event is running from Jan 30th- Feb. 17th 2011. I am participating for my first time and only time but that is ok, last year I was new to blogging so I didn’t really feel I had a lot to share or contribute. A year later I have met some wonderful people who are like minded as me and willing to share their techniques and ideas or directed me to where I needed to go to find out the information. Thank you to all of you. My name is Lesley, I am a decorative/ folkart painter and self taught mixed media artist. I live in Canada where the climate is truly a mix of all types of weather. I have been painting for several years now and have done the craft show circuit, taught small classes in my home and just had fun painting on anything and everything I could paint on...until.....I met paper. 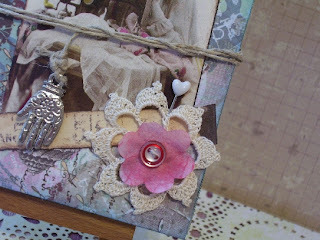 I have fallen in love with paper and the versatility it has to offer in so many ways. 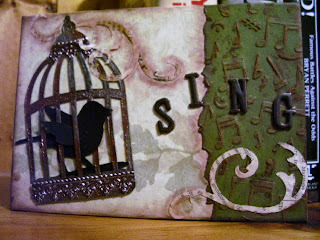 I learned quickly that you can use paint, ink, stamps, glues, recycled items from your home and on and on the list goes. In short....I love to create. I find it therapeutic for health issues I have, it takes me to a different place where I can just concentrate on what is at hand. I am always thinking ahead to the next project while I am creating in front of me. My hands are always busy. During this event I would like you to visit me and look around my blog. I have 3 little projects I am offering up for a prize, all you have to do is leave me a comment and you will be eligible to win. I will be picking the winners on Feb. 17th and announcing it right here. Please only comment once and in this One World One Heart event post. Comments to other blog posts will not be eligible. 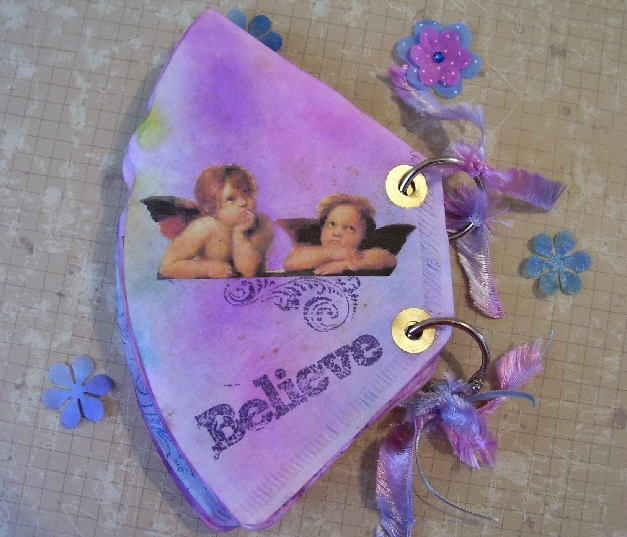 FIRST PRIZE is this Coffee Filter book featuring angels. The book comprises of, painting, stamping, emossing, rub ons, even the flowers are made by me using coffee filters and little gems. SECOND PRIZE is this fold out ATC book. (ATC's in the photo are not included). Remember to click on a photo if you would like to get a better view. Thank you for stopping by and enjoy the One World One Heart event. I look forward to hearing from you, and, visiting some of my favs and new blogs as well. I am feeling generous from all the lovely comments so I am adding a 3rd prize to my giveaway. 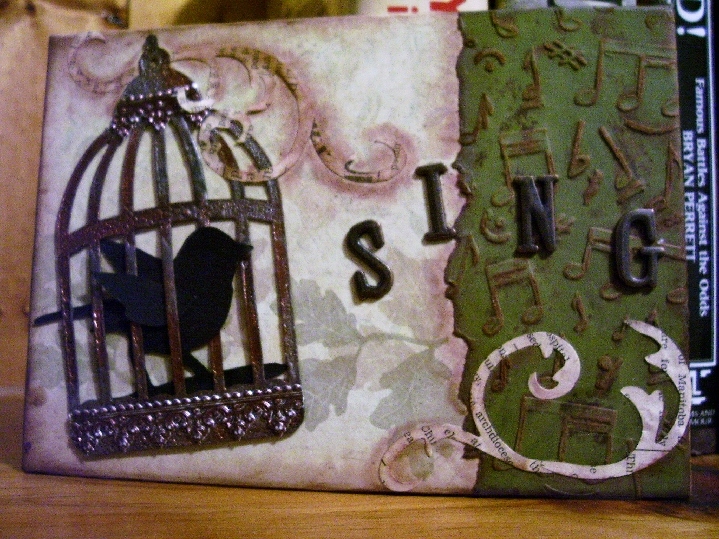 This 5x7 altered canvas featuring a new paper paint technique I will be sharing soon for you to try , a guilded birdcage I learned to make recently. No need to post again if you already have but if you haven't then please feel free, you have til Friday the 17th when I will be picking the winners. Wow- fabulous projects! 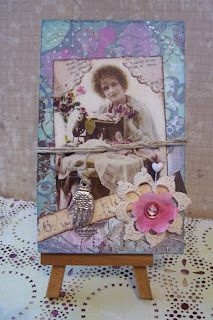 I would love a tutorial on the ATC book!!! That is too cool! Two darling projects and I'd love to be entered, come sign up for mine too! Lovely give aways, Les. I am participating for the first time as well. This is so much fun! These are absolutely wonderful! I have been doing OWOH for a few years and it is so amazing! You are going to love everyone you meet along the way! It is wicked fun! Lesley, these are just FAB projects! So sweet of you to offer them up for this great event. Oh my, your work is fabulous! Your coffee filter book is so pretty! I love to paint on anything that'll be still, and I've dabbled a "bit" in mixed media. Please stop by my blog anytime! Nice to meet you! I love the coffee filter book! Super idea! Gorgeous colors! Thank you for the opportunity to win! Fabulous prizes and I love the colours. Love your prize, and I would looooove to win. Gorgeous work! great giveaway !!!! OMG- That coffee filter book is Stunning. Love it! I enjoyed browsing through your blog- This is my first year enjoying the OWOH event..So much fun! What a great way to meet new friends. I hope you visit my blog and join in on my giveaway as well! Lesley, your coffee filter album is sensational. Thanks for the chance to win. Come visit my OWOH post and check out my blog! Love the prizes. Please enter me in the contest. Fantastic work, beautiful colours, I love them both. You have some lovely work on your blog, I've just signed up to follow. Greetings from Victoria BC from one Canadian artist to another! Love the colours you have chosen for your giveaway projects. The ATC book is a grand idea! I'd like to invite you to pop over and visit my blog (#289)and enter my giveaway too! Another Canadian hockey fan. 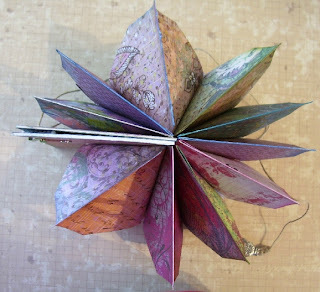 Very nice blog, I like your Christmas crafts and you mixed media art projects. What a wonderful and creative giveaway. I'd never have thought of using coffee filters to create art with. Love the colors you used. Hope you have oodles of fun during OWOH. I've enjoyed it so much over the years. Thanks for your generosity and participation in the event. Love your creativity, the two books are wonderful. I absolutley love the Coffee Filter book and all of its vibrant color. Count me in please. The Creativity! Please put me in the pot for your OWOH Door Prize! Hi Lesley, A fellow canuck here. Your blog is lovely. And so are your coffee filters. Who would have thought??? 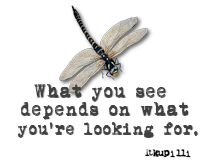 Drop by my blog #623 and have a wee visit. I am glad that I found your blog ... I have enjoyed reading it this evening and your work is great! Wishing you all the best and a fun event! Hi Lesley, I'm dropping in from SE PA. What treasures you have made for OWOH. Two somebody's are going to be very lucky. Hi Les... so nice to meet you too..lol.. loving your giveaways..your coffee filter book turned out fantastic.. and loving that atc holder too..maybe a tut on this in the future?? thanks am glad you like my "first large" altered art canvas.. hope you don't get too much snow.. isn't this fun??? Beautiful work. Please include me in your drawing. I love your books. What great ideas. Love atc's!!! Thank you for the chance to win. those are very beautiful creations! I love your blog template too! Hi Lesley, I`m your newest follower... what a fabulous giveaway :))) Please include my name in your draw and it would be terrific if you could drop by my blog for a visit too. Really cool door prizes! Please enter me in to win too! Your giveaway is wonderful and gorgeous, would love to be in with a chance to win one of them! Lesley, I am a book lover. I love your inventiveness with the coffee filters and the ATC foldout book. Gee, I hope I win at least one of them. Great blog and fun giveaways! Please throw my name in the hat for your drawing. And, if you are out and about in blogland, drop in #521! 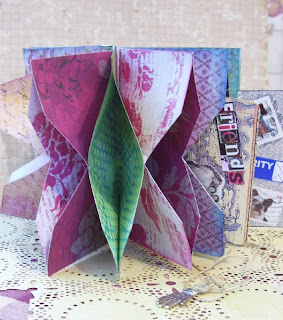 Love the ATC book and the coffee filter book is so ingenious! Stop by and visit my OWOH giveaway! I'm #50 on the journey. What gorgeous creations! What great giveaways! I agree with the first comment - I'd love a tutorial on the ATC holder. I love creating ATCs (and angels for that matter! beautiful giveaways... Thank-you for the chance to win. Hi, gorgeous paperworks, hope to win. This is such a beautiful giveaway. Thanks so much. The book is quite amazing. Please add my name to your drawing. Your giveaways are just beautiful! Please enter my name for a chance to win. You know how much I adore you and your fabulous art! Having such fun meeting so many talented creative peeps in Blogland! Charming work! waving hello from NJ. Hello Lesley from a fellow Canadian. Love your coffee filter book - great idea! Both the books are lovely - you have a lot of talent. This is only my 2nd time participating in OWOH, it is a lot of fun isn't it. Great giveaway! Please enter my name! Thank you for a chance to win such a great offering!! Beautiful coffee filter angels. I am #694 on OWOH check me out. I just love the angel book & the ATC storage book is a great idea--so pretty! I hope you can stop by my blog at #331 and enter my giveaway, too! I would love to win one of your gifts; I love the beautiful colors! Please enter me in your drawing, and be sure to stop by my blog to enter mine! your blog is beautiful and your offerings so lovely! please come visit my blog #30 on the list! Greetings from a paper nerd from Washington State! I love your filter book and the ATC book. Way cool! I hope you come visit me during your OWOH tour at #769. I really love your art and style. I would love to win either of these books. I'm number 11 and hope you'll drop by. My contact information is on my profile page. Hi Lesley, both things are wonderful and I have never seen either one made before! Please toss my name in the hat for your door prize and come to my blog and do the same there-#348 if you wish. Thanks! What beautiful books, both the coffee filter book and the ATC book! Please throw my name into the hat for a chance to win. Lovely, Lesley! Happy OWOH to you! If you get the chance, stop by and say hi--I'm OWOHing, too! Very pretty projects, Les! I love the colours you used and all the ephemera. 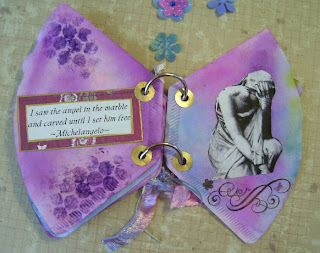 Love the ATC book... so creative! Greetings from a tatter in Singapore :) Please include me in the drawing, so lovely the ATC book especially! Thanks for the giveaway! Hello from Oregon! Thanks for allowing me to peek around in your blog and join in on your giveaway. I love the coffee filter book! It is a great idea and I haven't seen this before. 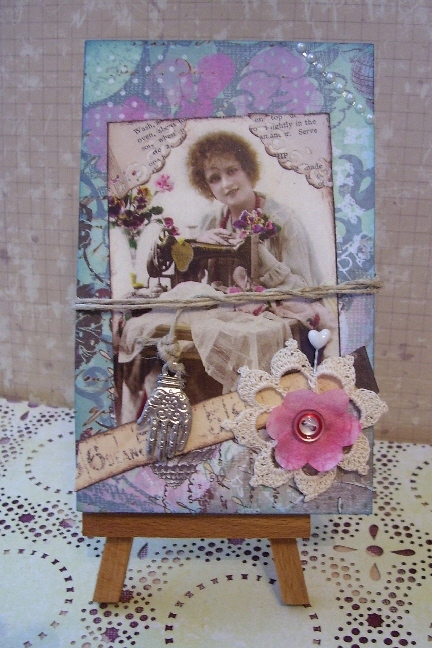 I also love paper and mainly am into card making and scrapbooking. 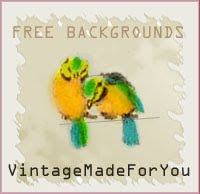 I would be proud to have you come and check out my art. Please feel free to come to my blog and enter my giveaway also. Hello from Calgary, my Canadian sister! What a lovely blog you have. The colours you've chosen for your giveaway projects are wonderful and it would be an honour to own a piece of your work. I love your work! 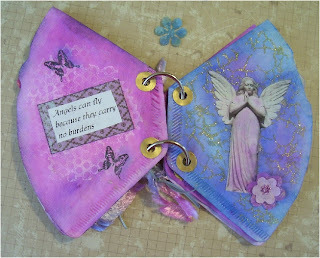 The coffee filter book is brilliant, and I ADORE the ATC book (I am an avid collector/creator of ATCs). wow, these are lovely projects!!! I love both of those adorable books. What a crazy great idea with the coffee filters. It is so wonderful to meet you and visit your lovely little part of blogland. I would love to enter your OWOH giveaway. How wonderful. Please drop in for a visit during your journey. Hi Leslie, Well there is plenty of eye candy here! Love these projects! So much talent! I dooooo want to be counted in on your giveaway. Hello from beautiful NW Arkansas! It's nice meeting you! Such great prizes! Please enter me in your fantastic giveaway and be sure to enter mine, too (if you haven't already.) #215 on the list. Thanks for participating in OWOH. Please enter me in the drawing for your awesome gifts...both are lovely. hello! thank you very much for the chance to win your wonderful giveaways. 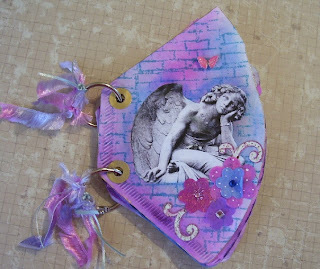 angels are close to my heart so i love the little book and since i collect ATCs, i love the ATC book as well! 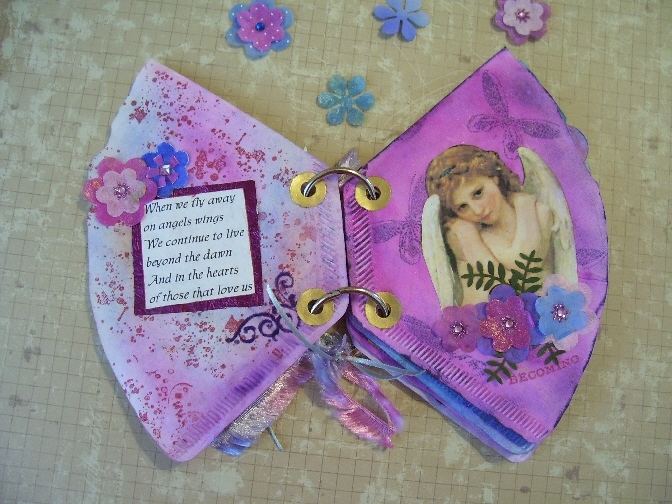 if you haven't yet, i hope you can drop by my blog at http://peggyapl.blogspot.com/ (#544) and join my OWOH giveaway. hugs and blessings! You have a very warm and inviting blog. I really enjoy your style, too. Please enter me in your giveaway and visit me, if you haven't already. I'm number 11 and my information is on my profile page. What a beautiful piece, please enter me in your drawing. Your altered art work is fantastic. I enjoyed your blog very much! 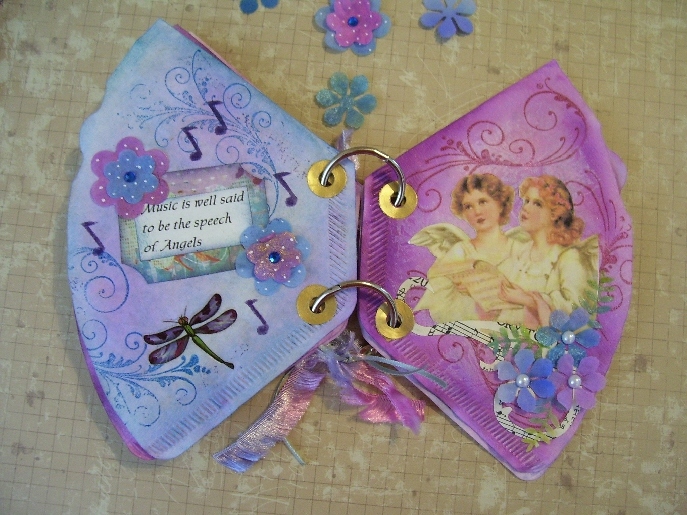 Two lovely prizes...I love handmade books. Thanks for the chance to win one of your lovely creations. beautiful work...so happy to meet you through this event and to spend time browsing your blog! please stop by my blog (#851) and enter my drawing as well, if you like! It's a pleasure to meet you. I'm a jewelry artist, watercolor painter, and over all creative adventurer! I'd be please to have you follow my blog. Thank you for your wonderful offerings. I love the colors you use, and I've never seen a coffee filter book before - it's neat! Please enter me into the OWOH give away. I'm giving away a shabby chic denim necklace. Come any time to chat. Hope you're enjoying the fun of OWOH. I still have so many blogs to visit, but I will be back! These are so pretty!! Please count me in! Hi Lesley, I would love to win your beautifully handcrafted book of angels and Atc's art project. How sweet! Please visit my blog, too. I am the author of "16 x MOM: A Mastery of Motherhood." I am giving away my book and a couple of laminated 4 leaf clovers. Using a coffee filter to make a book...INGENIOUS! And what lovely colors and embellishments it has! That ATC book is also quite cool!